Below you fill find all funeral homes and cemeteries in or near Slater. Suburbs of Slater: Saline City, Sharon. Slater is also known as: Saline County / Slater city. Zip codes in the city: 65349. Some of the notable people born here have been: (gerald c. thomas). Slater is a city in Saline County, Missouri, United States. The population was 1,856 at the 2010 census. It was reported by New Haven Register on August 9th, 2017 that James R Boling passed on in Madison, Connecticut. Boling was 82 years old and was born in Slater, MO. Send flowers to express your sorrow and honor James R's life. It was reported on July 21st, 2016 that Gary R Browne passed away in Slater, Missouri. Browne was 77 years old. Send flowers to express your sympathy and honor Gary R's life. It was revealed by The Herald on September 29th, 2014 that Charles Dean Jones perished in Washington. 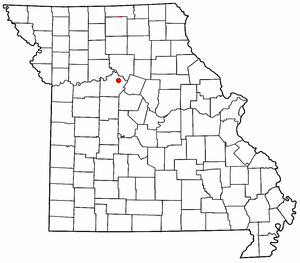 Jones was 90 years old and was born in Slater, MO. Send flowers to share your condolences and honor Charles Dean's life. It was noted by Columbia Daily Tribune on February 21st, 2014 that Leo Galloway died in Slater, Missouri. Galloway was 84 years old. Send flowers to express your sympathy and honor Leo's life. It was reported on September 8th, 2013 that Jesserean Dixon (Sharon) passed on in Rockville, Maryland. Ms. Dixon was 98 years old and was born in Slater, MO. Send flowers to express your sorrow and honor Jesserean's life. It was disclosed by Columbia Daily Tribune on May 5th, 2013 that Mary Kay Brumit passed on in Slater, Missouri. Brumit was 86 years old. Send flowers to share your condolences and honor Mary Kay's life. It was disclosed on August 26th, 2012 that Nelson S Gerhart perished in Oak Hill, Virginia. Gerhart was 91 years old and was born in Slater, MO. Send flowers to express your sorrow and honor Nelson S's life. It was reported by The Chronicle on July 23rd, 2012 that Ruby Shepard (Weiher) passed away in Centralia, Washington. Ms. Shepard was 93 years old and was born in Slater, MO. Send flowers to share your condolences and honor Ruby's life. It was revealed by Austin American Statesman on May 19th, 2012 that SMSGT Norman E Ret Tyre passed away in Austin, Texas. Tyre was 96 years old and was born in Slater, MO. Send flowers to express your sorrow and honor SMSGT Norman E Ret's life. It was noted by Columbia Daily Tribune on January 6th, 2012 that Lillian B Kettler died in Slater, Missouri. Kettler was 98 years old. Send flowers to share your condolences and honor Lillian B's life. Slater is a city in Saline County, Missouri County, Missouri, United States. The population was 2,083 at the 2000 census. . . . The official website for the city of Slater is http://www.cityofslater.com. Weiker Funeral Chapel, Slater, MO : Reviews and maps - Yahoo! Local, 660.529.2211. Get Ratings, Reviews, Photos and more on Yahoo! Local. Millard, Reid A - Slater Millard Family Funeral, Holts Summit, MO : Reviews and maps - Yahoo! Local, 573.896.5959. Get Ratings, Reviews, Photos and more on Yahoo! Local. We work with local florists and flower shops to offer same day delivery. You will find budget sympathy flowers in Slater here. Our funeral flowers are cheap in price but not in value.